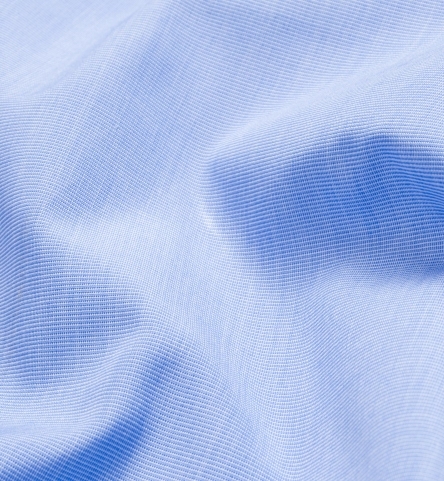 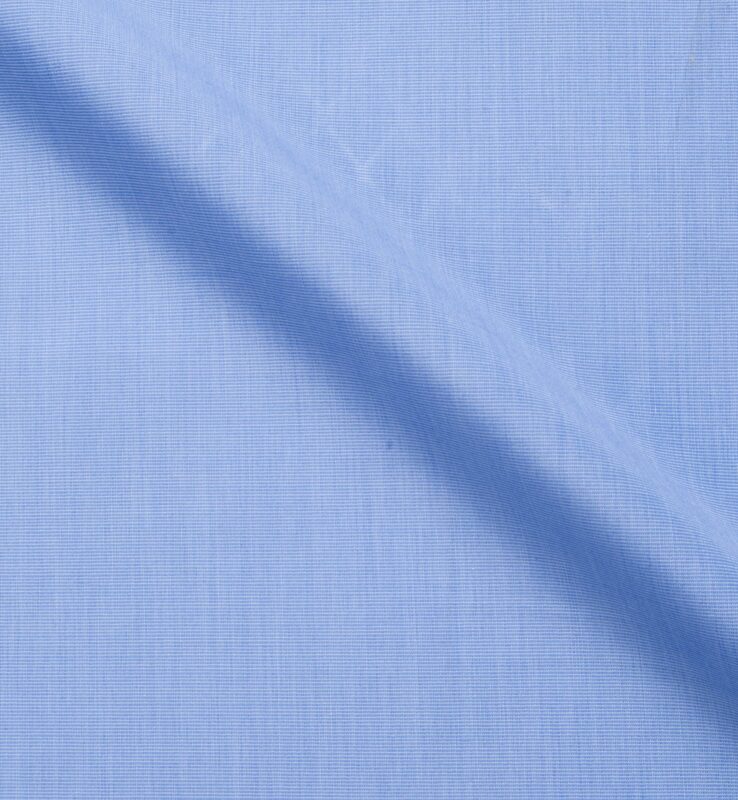 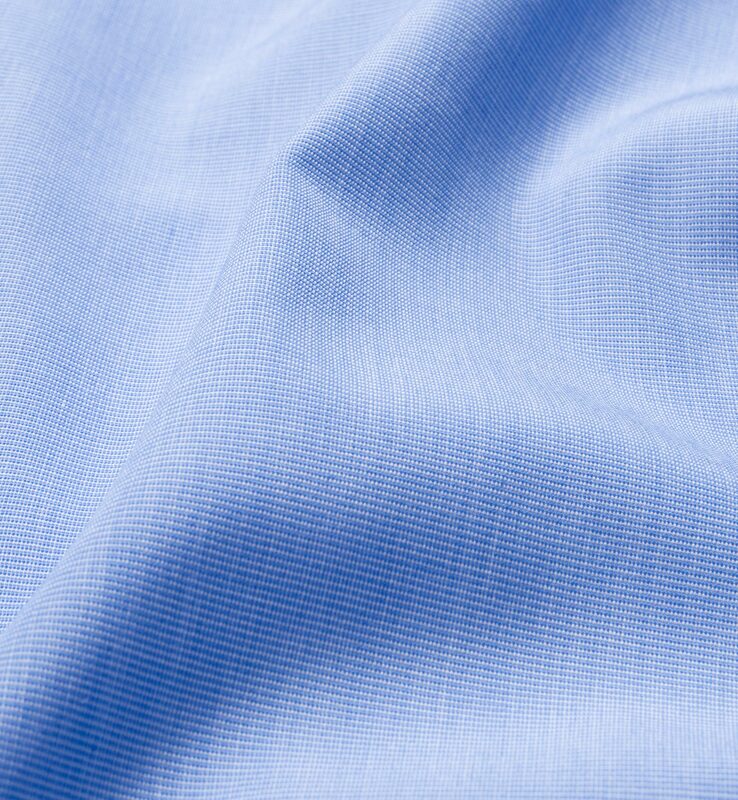 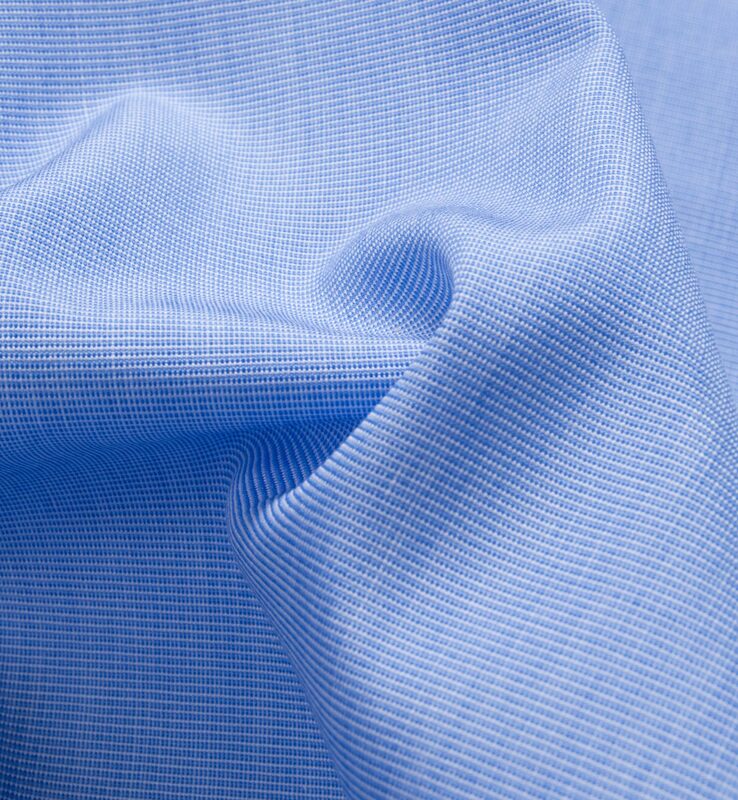 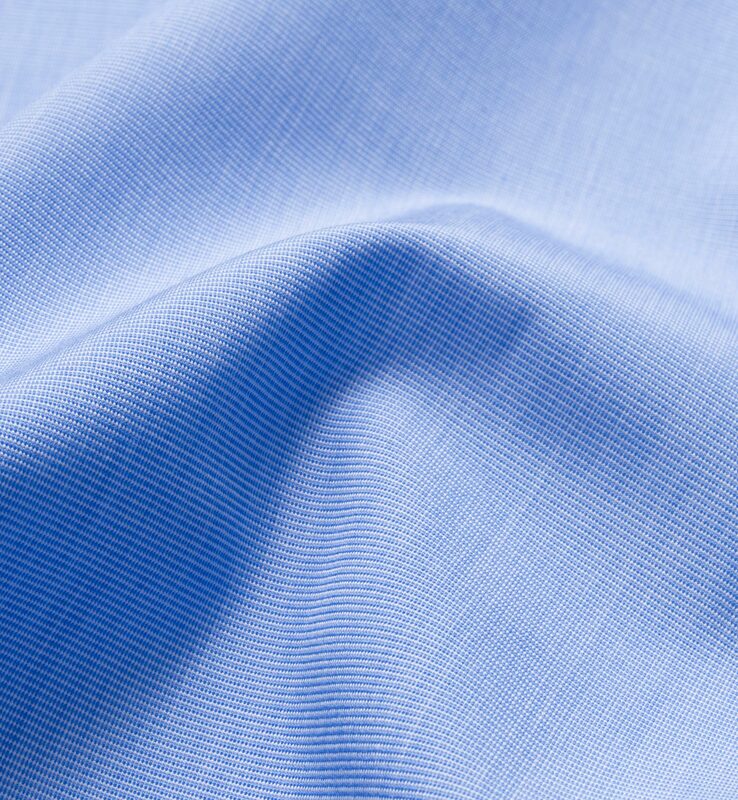 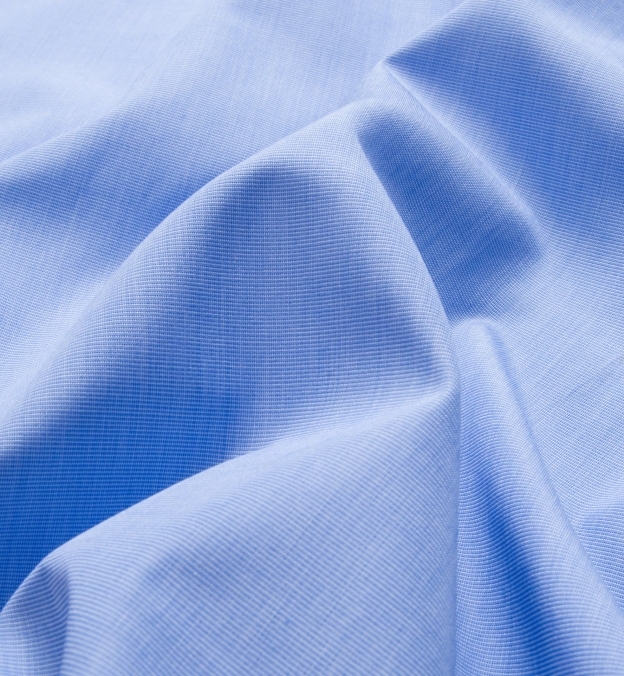 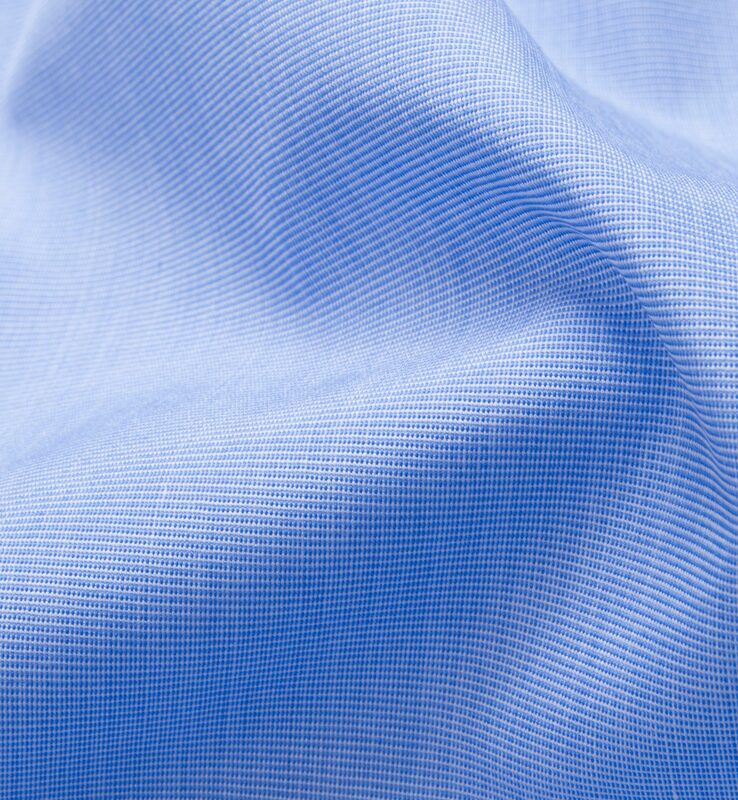 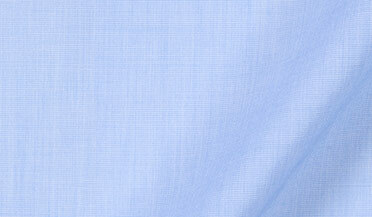 A timeless solid blue end-on-end woven with a luxurious 100s 2-ply construction. 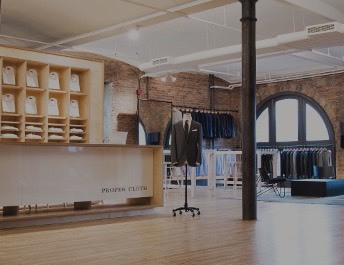 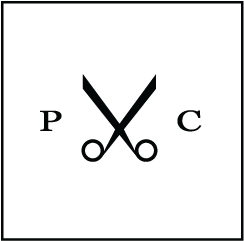 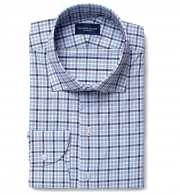 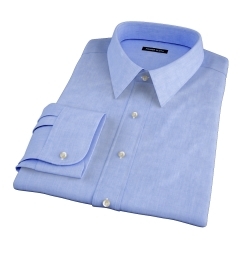 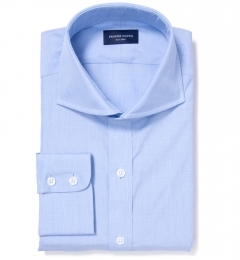 We love the naturally inconsistent look of end-on-ends, a great way to mix up a collection of solid dress shirts. 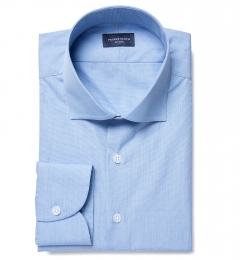 They're lighter weight for the summer, but not so light that they show through.